In the International Year of Family Farming, we have been looking beyond communities and putting households at the heart of change. 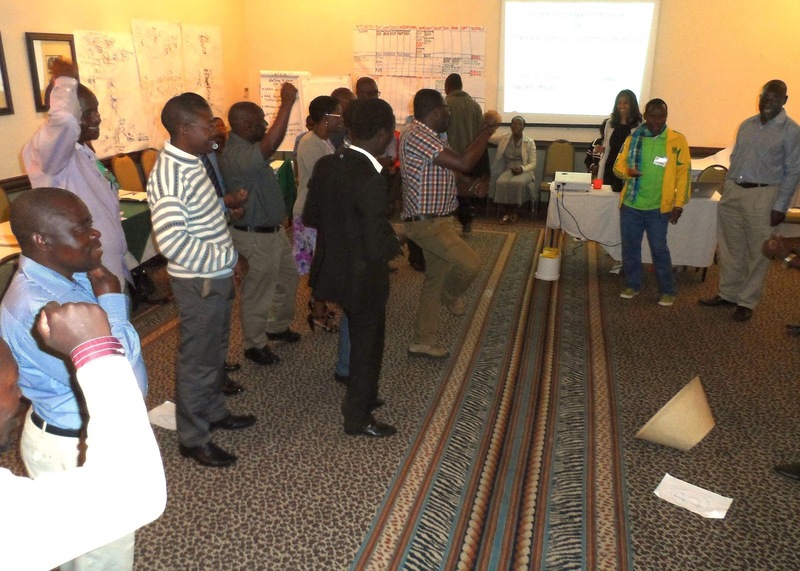 Last week in Malawi a workshop showed community outreach workers from government and civil society how to use ‘household methodologies’ to improve the lives of all members of rural households, which includes improving their ability to cope with climate change. The household methodologies approach is an exciting perspective that attempts to tackle the ‘black box’ of intra-household dynamics. With support from the Government of Japan, IFAD has been pioneering this approach with impressive results. At its heart is an effort to better understand the different roles of women and men, girls and boys in the household, and support a move beyond limiting gender stereotypes to achieve household goals. 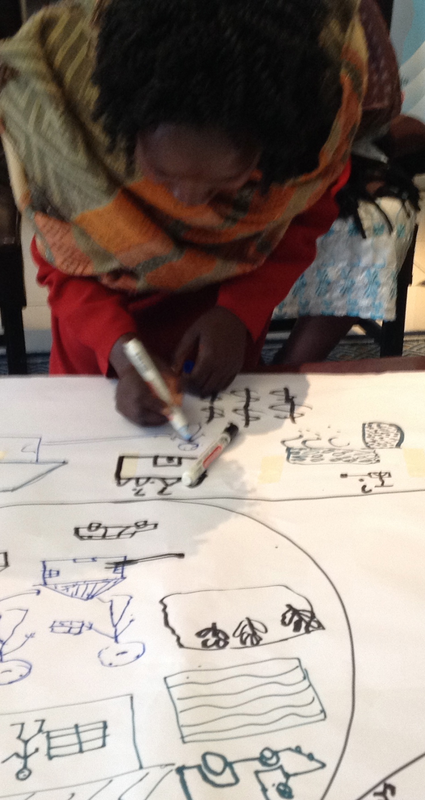 The use of drawing and images means that literacy is no obstacle to full ownership by all household members. Workshop participants explored the intersectionality of gender and climate change issues at the household level and got to know practical tools to support their work. “I would like to link Household Methodologies to climate change resilience issues,” said Frieda Kayuni, Deputy Director of Agricultural Gender Roles and Support Services (AGRESS) in the Ministry of Agriculture. The first three days focused on sharing the benefits, experiences and key tools of household methodologies, and climate change ‘teasers’ were shared throughout. Next, a ‘Climate Change and Gender Game’, originally developed by the Red Cross brought gender differences in attitudes toward risks and trade-offs into sharp contrast, and hinted at the implications of gender gaps in building household and community resilience. After the cries, frustrations and excitement had died down, the individual household winner emerged as male and participants noted that the winning village had a very high proportion of women prompting discussions about why this was so. One of the key findings from the game was that ‘women-headed households’ tended to favour community resilience strategies alongside individual household ones. Participants also agreed that if women had equal access to resources, as well as a greater voice they would not only be less vulnerable to climate-related shocks but could also make useful contributions to improving community resilience. A field visit to Chikwawa District gave participants insights into the differentiated experiences of household members living with climate change and their current coping strategies. This experience was consolidated with a review of possible questions that frontline extension workers could use at each stage of the household approach to help households move from ‘coping strategies’ to building their longer-term ‘adaptive capacities’. Key resources were also presented, such as an FAO/CCAFS training guide to field research with a gender and climate and CARE’s Capacities and Vulnerabilities Framework, as well as OXFAM’s recent publication on climate change and Malawi - alongside relevant national policies. 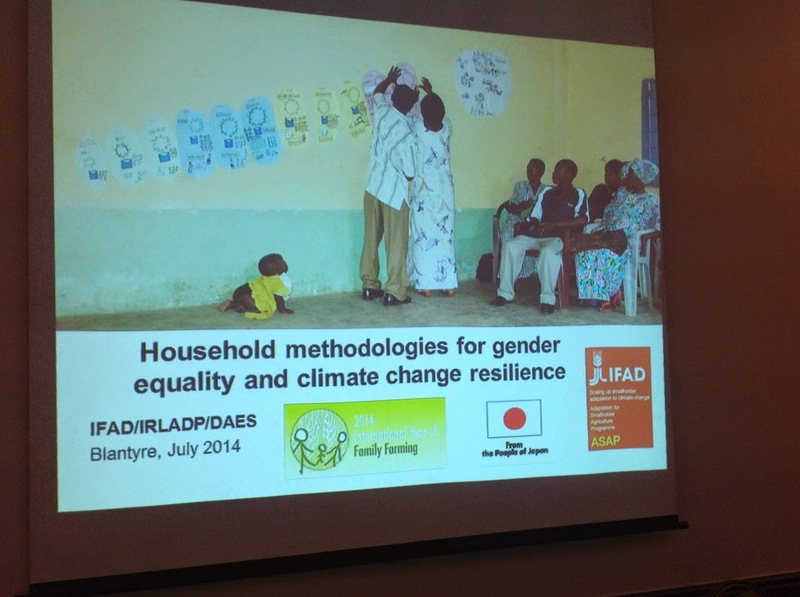 One of the participants’ main ‘take-home’ messages was the link between climate change and gender at the household level. "We would like to integrate Household Methodologies with a climate and gender lens in our Community Development and Social Work Programme curricula at Magomero College. The College Trains about 150 community development workers every year, recruited from Government (80%) and NGOs (20%). Graduates work at the community level and are the Government contact persons for community initiatives to improve livelihoods through a range of approaches." 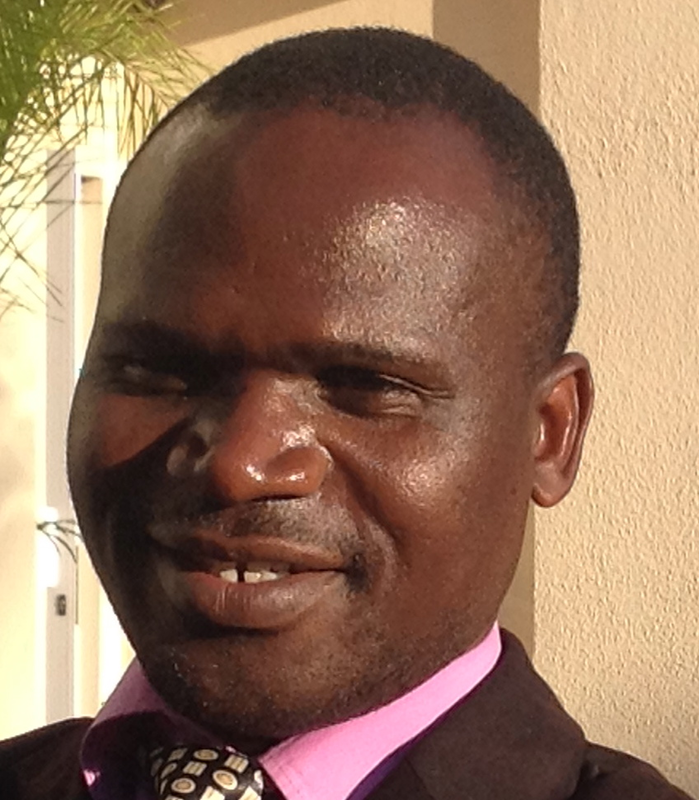 Ronald Phiri, Acting Director of Community Development. 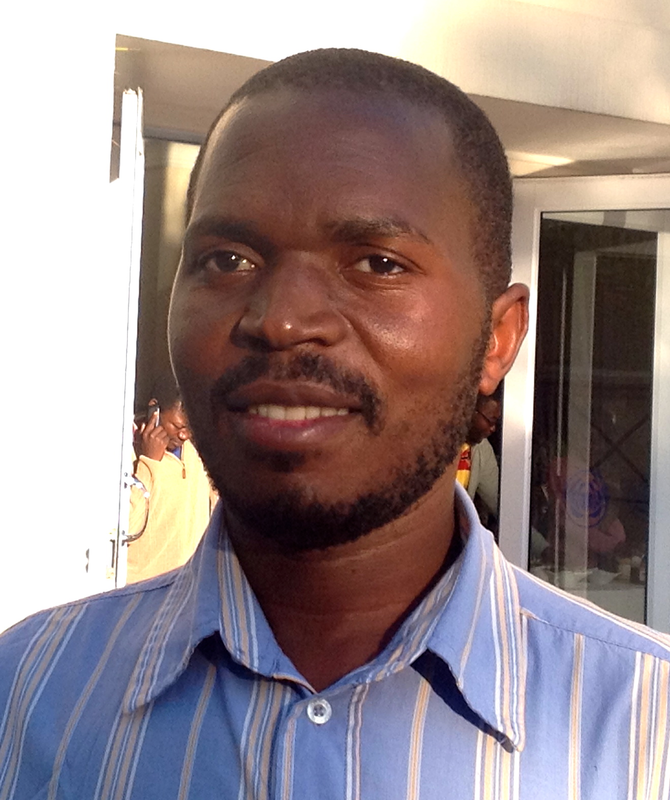 “We can’t think of nutrition and food security without thinking about climate change.” Prince Shaibu, Agricultural Gender Roles Extension Support Services Officer, Nsanje District. IFAD expects to launch a new project in Malawi, building on the Irrigation, Rural Livelihoods and Development Project (IRLADP) and incorporating a climate focus with the support of ASAP (Adaptation for Smallholder Agriculture Programme).